The basic components of the Hungarian cuisine are the Paprika, Potato, Cabbage, and the pork meat, venison, goose liver and so on, and of course the combinations of these ingredients with some spicy pepper on the top if possible or sour cream. Here is a list with the top 5 thing people have to try while visiting Hungary. These are already three different things, we know, but they belong to the same style. Goulash is a soup or stew of mostly pork meat seasoned first of all with paprika, paprikash is chicken, seasoned of course with paprika, served with boiled egg noodles and sour cream. And pörkölt is a stew from boneless meat and seasoned with – of course- paprika. This are the three main dishes tourist hear about Hungarian cuisine and all of them are seasoned with paprika, but still absolutely different. Worth to try all of them, and can be tried everywhere they serve traditional food. Soup is a really important liquid food for the Hungarian people, as in poorer times families cooked the ingredients together with a lot of water or stock and got the flavor extracted for a testy, healthy and rich dish the whole family could get enough. The Hungarian fish soup has a special meaning for the people in addition as this is the traditional Christmas food for Christmas Eve. Hungarian fish eating culture is based actually on the fish soup we mentioned before, but the water played anyway an important role in the Hungarian culture. 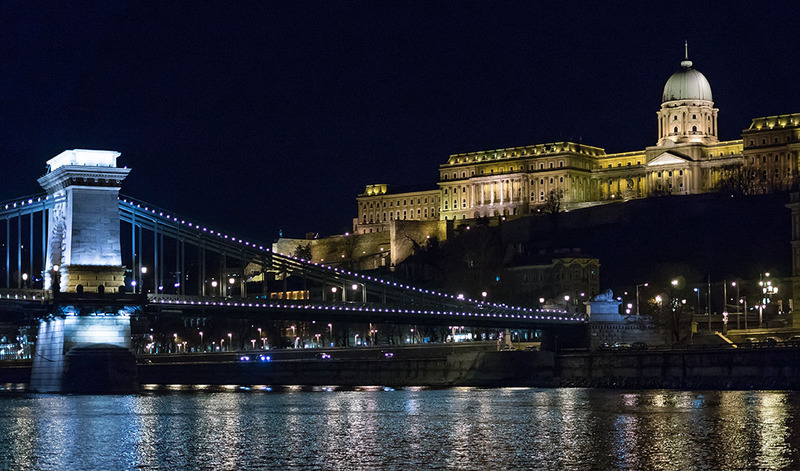 So what if we take a dinner cruise with some Hungarian specialties, including a Hungarian folklore show comes with the dinner and while we are enjoying the time, the cruise is floating along the river, showing us an amazing perspective from both side of the capital as we are in the middle of the Danube river. The original name is Gundel palacsinta as this type of pancake was invented by a Hungarian, Károly Gundel. The original pancake is filled with a mixture of walnuts, raisins, and rum and served with a dark chocolate sauce. Marzipan is created from a sweetened almond mass and the texture allows to create a different type of figures and bonbons. Nowadays marzipan is popular for its creativity and the diversity of its taste. In Szentendre, close to the capital, there is an exhibition, full of marzipan art. After visiting these masterpieces, we have the opportunity to visit their marzipan shop, collect each type of bonbons than have a walk in the fabulous Szentendre.